By the side of Seattle sits one of the biggest lakes in all of the Pacific Northwest. Named after George Washington back in the mid-19th century, it's the second largest lake in the state of Washington and is renowned all around the US and internationally for its appeal to fishing enthusiasts. Open to anglers all-year long, Lake Washington is filled with many different fish species. Some of the species found swimming beneath the surface of Lake Washington include cutthroat trout, rainbow trout, smallmouth and largemouth bass, and yellow perch, among others. 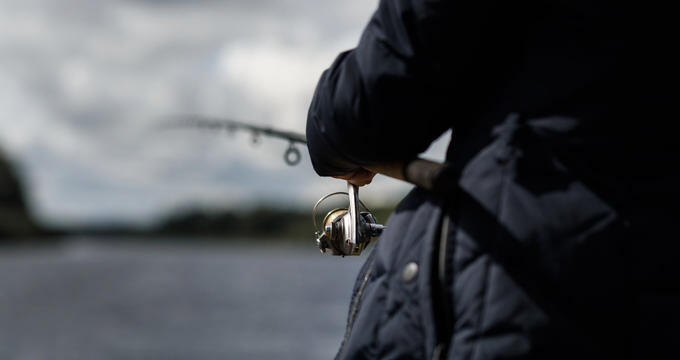 Different types of salmon can also be caught in the lake at specific times of the year, making it a real treasure trove for the keen fisherman. Many different fishing piers are placed all around the lake, along with several boat docks. - Coastal cutthroat - An average catch is around 8 inches long and can weigh around 4-5 pounds, but much larger trout can be caught on occasion. These fish are aggressive feeders, especially after spawning, and can be found in deeper waters near the bottom during late spring and summer. - Yellow perch - Easily identified due to their yellow coloring, these fish can be found all around Lake Washington and are most frequently found in near-shore areas, especially with some vegetation as they like to hide among the grass for cover. These fish are easiest to catch in late summer and fall. - Largemouth bass - One of the larger and more desirable fish at Lake Washington, largemouth bass can grow over 20 inches in rare cases and weigh more than ten pounds. There are many different techniques when it comes to bass fishing, but the best prospects can be found in late spring and early summer. Situated in Kirkland, Juanita Point is widely agreed to be one of Lake Washington's prime fishing spots. It's a great spot for various kinds of trout, and the lake's biggest recorded trout catch was nabbed at this location. The cutthroat trout in question weighed over 14 pounds. Trolling in this area can be highly effective and trout will most commonly be found in late spring and early summer, but the fall months can also be a good time to catch some coastal cutthroat too. More specifically, the northwestern edge of Mercer Island has proven to be a great spot for salmon fishing. Various types of salmon like chinook and sockeye can be spotted in Lake Washington and have been found with impressive frequency in this area. Patience is needed and the timings of the salmon season can vary wildly from one year to the next, but if you're looking to bag a sockeye, this is the place to be. Rainier Beach in Seattle is another great trolling area, this time for trout. Both rainbow and cutthroat trout can be caught here due to the nature of the lake in this area. The depth of the water changes quite suddenly, so trout are able to spend all year here, heading out to the deeper water for the warmer months and coming closer to the shore at other times of the year. If you're looking to do some bass fishing, Pleasure Point is one of the better locations at Lake Washington. It's a picturesque spot too and a popular place with visitors to the Seattle area. Located in Bellevue, the waters here seem just right for smallmouth and largemouth bass, with both species being caught in late spring through to the start of fall.